In the case of exceptional loads, plywood panels measuring 125×250 cm, or submultiples, equipped with L-shaped interlocking on four sides are available; when laid over the parquet, these provide a very high level of mechanical protection, with the possibility of supporting the passage of fork lift trucks in complete safety. Dalla Riva supplies boxes, made to measure, for moving and storing these panels. 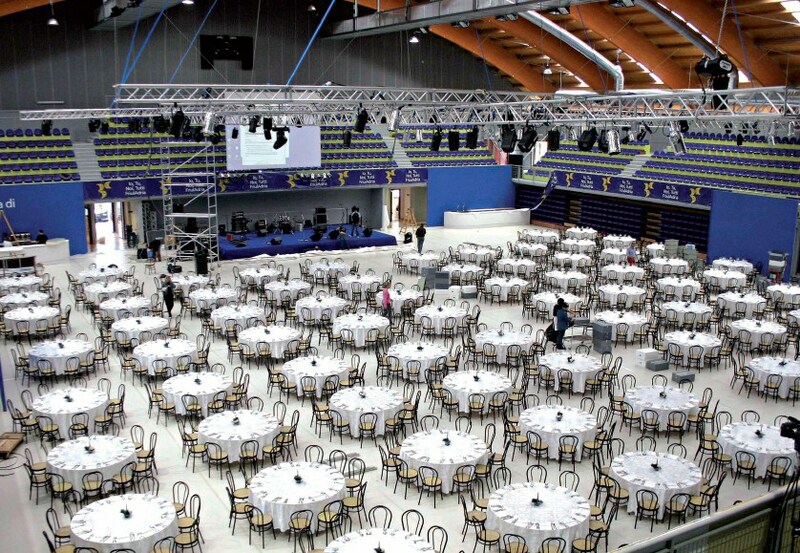 The self-laying, vinyl floor coverings are used to completely or partially cover the floors of sports arenas in order to allow for every type of activity, from concerts to events of various kinds. The sheets may have a maximum length of 25 m and be 1.5 or 2 m wide; they may be lightweight and economical, for occasional use, or thicker and more substantial, for frequent use. The single roll holders wall systems made entirely of steel. They have a tube for unwinding and subsequently winding the floor covering. They are also supplied with special rubber protection for the steel elements. This is a solution that satisfies safety requirement and, at the same time, guarantees an excellent aesthetic result. 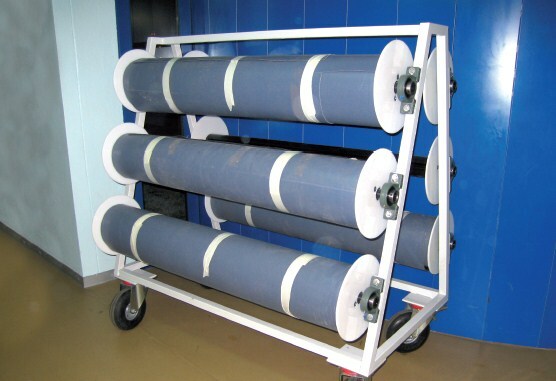 The steel cart has maximum dimensions of: base 800×2000 cm and height 1500 cm. It has a unique inverted “V” form and each side can support three rolls. The shape has been specially designed to distribute the weight of the rolls most effectively, to prevent possible sagging of the floor and to facilitate the job of workers who handle these heavy loads.